David Dobrik is an American YouTuber who is best known for his self-titled YouTube channel which he posts skits and vlogs about his daily life. His channel has over 6 million subscribes. He started off his vlogging career on Vine in 2013, where he amassed over one million followers before its official shutdown. David Dobrik was born on 23 July 1996, in Kosice, Slovakia. Dobrik went to Vernon Hills High School but dropped out to pursue a career in acting. David Dobrik is dating fellow YouTuber and actress Liza Koshy from 2015. Though, he hasn’t been a cast in any feature films, he has starred in short films and web movies. He is yet to make his debut on TV series. He is known for his work on An Interrogation (2015), FML (2016) and Airplane Mode (2016). His YouTube channel where he has garnered over 6 million subscribers. 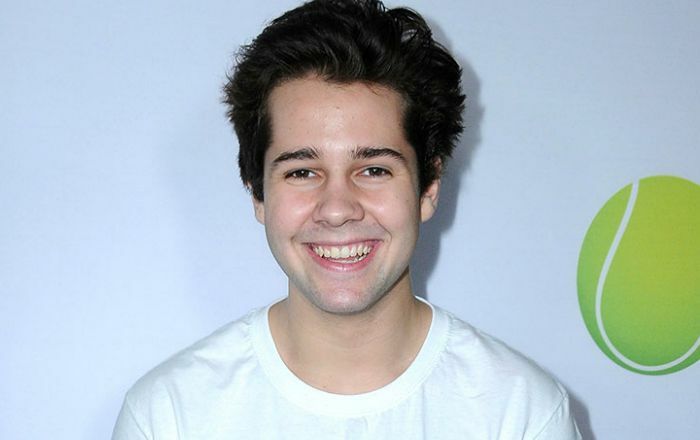 Dobrik has been an endorser of many brands including HP Sprocket photo printer, AT&T, Best Fiends Forever Computer Games, MTV Fandom Awards, Share a Coke campaign, PlayNerve Android app and Angie Tribeca. David Dobrik has a an estimated net worth of $1 million. He lives in Los Angeles and owns a Tesla. He moved to the US at his young age. In 2017, he won the Vlogger of the year from shorty Awards. All of David’s videos have a run time of 4 minutes 20 seconds and he posts every Monday, Wednesday, and Friday. His Instagram account is managed by his girlfriend, Liza. David has his own clothing line which comprises of t-shirts and hoodies.